I wasn’t planning to do anything special on the blog this December, but of course opportunities crop up, and ideas are presented, and I’m a sucker for joining in with a good idea. So on here, I’m joining up with a lot of other ventures, starting with a Giveaway launching today on the Princelings website, and on Saturday here, that runs through to the end of the month. Then there’s Read Tuesday next week, followed by a review of the books I’ve read and a Giveaway Hop posting on the 11th (Thursday). I’m not reviewing my favourite flash fiction of the year, but I am reposting one of my favourites in the Deja Vu Blog Hop on the 19th, speedily followed by the Midwinter’s Eve Giveaway Hop which runs from the 21st through to the end of the month. Finally I reveal some plans for the new year on the 29th. Meanwhile, on the Princelings website there’s a Yuletide Narrathon running through the month, starting today with Willoughby the Narrator’s take on the Snow Queen. You’ll recognise all four tales he bases his stories on, but there are some subtle differences in order to set them in the Realms, with their castles, lack of religion or commercialism, and difference governance structures! They’ll be appearing each Monday in December since one of them runs over two weeks. I’m also tempted to put another Big Pete and the Swede Christmas on the Viridian website. I did a short story last year, which I may have already linked on there… maybe I’ll report it, maybe I’ll write a new one. You’ll have to visit and see! Finally, at some stage this month I’ll be launching the Local Heroes Reading Challenge for 2015. This is something Rebecca and I talked about last year and we haven’t talked about since! The idea is that you read and talk about (or review, but I didn’t want it to sound too formal) books set in your home area. For this, definitions of ‘local’ will vary depending on where you live. Norfolk is a fairly popular setting for books, so I’ll go for that. Maybe you can choose your state, or perhaps a region near you, or a river, or anything that is geographically relevant to where you live. Whatever you think counts as ‘local, basically! Watch out for the badge and sign up to take part! Aw, your little furry Christmas elves look so cute! 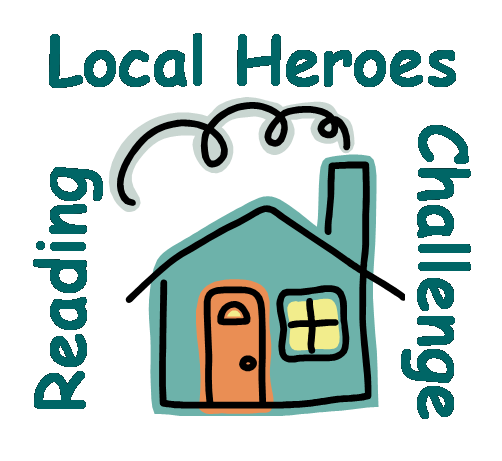 Lots of good news and ideas in your post – your Local Heroes Reading Challenge sounds great. Can I participate from across the pond? Of course you can take part, Noelle – distance doesn’t matter! I love this pic of Fred and George (G on the left). I have an even cuter one of George on his own. Wow,you really are keeping busy! I am inspired, and awed! (And I think I need more Santa hats in my life). I have launched a book-launch giveaway today, though I probably should have done like you you and hooked up with a hop. Noelleg44, I’m across the Pond from Jemima, so I guess the Local Heroes are international! These are the only Santa hats I possess – and Colman doesn’t approve of them. He refused to wear it when I last tried – a great photo of him tossing it off his head! Okay, Rebecca, we’ll hold up the honor of the US!